Weighing PRK vs LASIK: Which Option is Right for You? 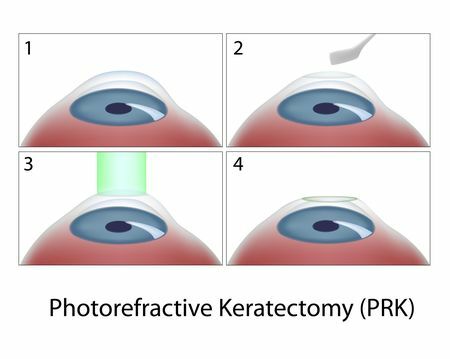 While photorefractive keratectomy (PRK) and LASIK surgery can provide similar results, there are several key differences regarding candidacy, recovery time, and how long it will take patients to achieve stable vision. Dr. Laurence T.D. Sperber, a renowned, board-certified ophthalmic surgeon with over 20 years of experience, performs both procedures at our practice in New York, NY. We are dedicated to providing our community with compassionate, quality care. Our team can provide all the information you need to weigh the benefits of PRK vs LASIK, and determine the best corrective vision treatment for you. Your medical history will be thoroughly discussed, as well as your expectations for your results. LASIK is not recommended for patients who are at a higher risk of experiencing trauma to the eye, since this could dislodge the corneal flap. This includes active professions, like policemen, and those who enjoy certain hobbies, such as boxing. By evaluating these factors, Dr. Sperber can help you establish whether PRK or LASIK is best for your specific goals and lifestyle. The primary difference between PRK and LASIK is the way the cornea is accessed. 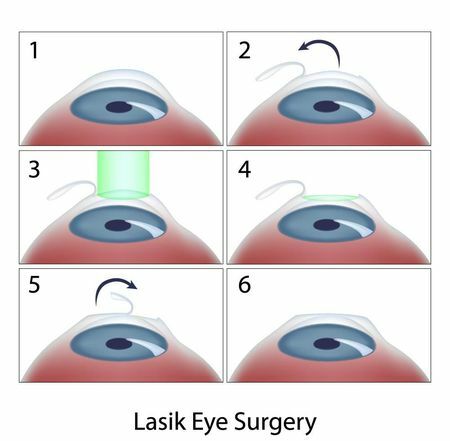 LASIK requires a corneal flap, which is created with a laser. Once the cornea has been reshaped, the flap is placed back into position. In comparison, a flap is not created when performing PRK. Rather, the entire outer epithelium of the cornea is removed to allow access to the deeper layers. Because a flap is created during LASIK surgery, deeper layers of tissue are modified. PRK is less invasive in that regard and carries no risk of flap complications. Patients who undergo LASIK often notice clearer vision and negligible discomfort in as little as 24 hours. Patients who choose PRK may experience some pain and blurred vision for one to three days, with the effects gradually improving up to six months. Patients who undergo PRK surgery experience a slower healing time because the cornea must fully regenerate. Do the Procedures Offer Similar Results? PRK and LASIK are both highly effective ways to surgically correct vision and yield comparable results. Only a very small percentage of patients still need glasses or contacts following treatment. According to the American Academy of Ophthalmology, nine out of ten LASIK patients achieve at least 20/40 vision. Comparable results have been found for PRK. Post-operative complications for both treatments are extremely rare. However, enhancement surgery can be performed if necessary. PRK and LASIK are both highly effective ways to surgically correct vision and yield comparable results. The use of reading glasses may still be required for patients over the age of 40. This is necessary to offset the effects of presbyopia, an age-related loss of near vision. If you are looking for an alternative to contacts or eyeglasses, then corrective vision surgery may be the solution for you. To determine if LASIK or PRK is best for your needs, schedule a consultation with Dr. Sperber. You can call our office at (212) 753-8300 or contact us online.